Milton Henry is one of those names that attracts a certain level of reverence by those in the know. Having released some classic cuts in the shape of 'Gypsy Woman' and 'Cornbread and Butter', Henry upped sticks from his native Jamaica and settled in 1970's New York - a city that was far from the gentrified urban sprawl that now exists, bringing with it a host of social issues that music could help to breakdown. Gravitating naturally towards Wackies, Henry was soon fully involved in day-to-day operations at Wackies HQ - even being granted the near mythical privilege of owning a spare pair of studio keys... First released in London during Orwell's 1984, Henry was joined by the Itopia band and soon layed down the wonderful 'Who Do You Think I Am?' - wherein a relaxed and lethargic style is kept energetic through fantastic vocals and bubbling production. 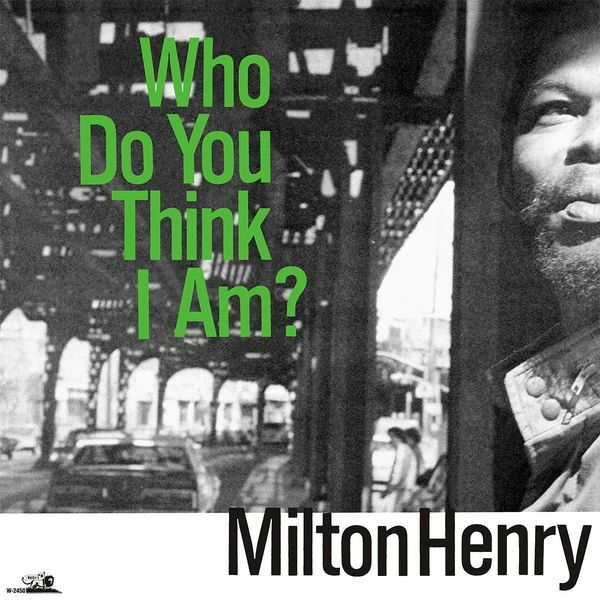 With particular highlights including the ribald title track, the rose-tinted solipsism of 'No Dreams' and the sunny disposition of 'Them the Devil', Milton Henry can lay claim to a classic album that hasn't diminished one jot with age. Wackies comes good again... Tracklisting; 1. Who Do You Think I Am 2. Let The Sunshine In 3. No Dreams 4. Send Me That Pillow 5. Sweet Melody 6. Good Old Days 7. What Am I To Do 8. Them A Devil 9. You Don't Have To Know Me.